I think I may have found my new HG fake tan with He-Shi. Recently I recieved a bottle of their new dark foaming mousse along with their facial tanning gel to review, and so far I am LOVING the mousse. Normally when I test fake tans I always test them mid-week on my legs (so they can be covered at work if it goes wrong/easily scrub off ready for the weekend). I haven't had chance to try the gel facial tanner yet however I'm hoping for some time off work in a few weeks so I will be trying that then. Normally for a night out, I like to look quite tanned (not orange) as my natural skin colour is very pale. So when using St Tropez I normally have up to 4 coats on my legs and 2 on my upper body to look tanned. As you can imagine at times this is a right pain in the backside. With the He-Shi dark mousse, I only need one coat to be dark. Now I would recommend using this tan when you have no tan on at all, as I made the mistake of having this on my top half at the weekend, after wearing this the weekend before and I have a teeny bit of holiday tan left, and I was way too dark. What sets this product apart from any of the other tans is the colour of it- now I was a bit shocked when I saw it on the mitt, but it looks like honeycomb. Also the product is very watery- a little goes a long way. 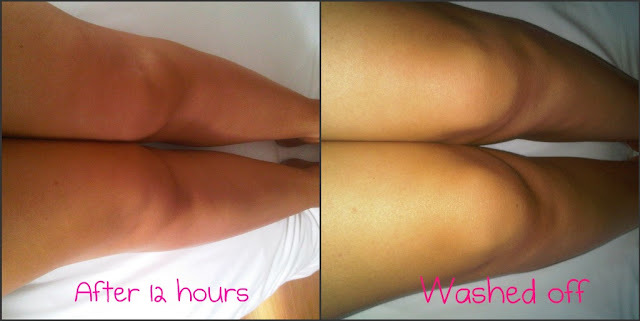 Normally with St Tropez or Xen Tan I use 3-4 pumps for the bottoms of my legs and then the same for the top of my legs. However with He-Shi a little goes a long way (4 pumps for my lanky legs). One thing which I will mention if you are used to using Xen Tan or St Tropez is that the guide colour of the He-Shi is very light. You can see where the product is, however its not as dark as the other tans. Check out how dark my legs are. How fab is this tan!! Also its worth noting that once you get in the shower/bath to rinse this off, very little of the guide colour comes off. So what you see is what you get. I would recommend that if you are using this for the first time on your upper body to leave the tan on for no longer than 6 hours, as it might be a bit too dark for you. The tan lasted I would say a good 4-5 days before it started to fade, however it doesn't go patchy!! It fades gradually. All in all I am really happy with this product and will definately be repurchasing as I've nearly used all the bottle up!! 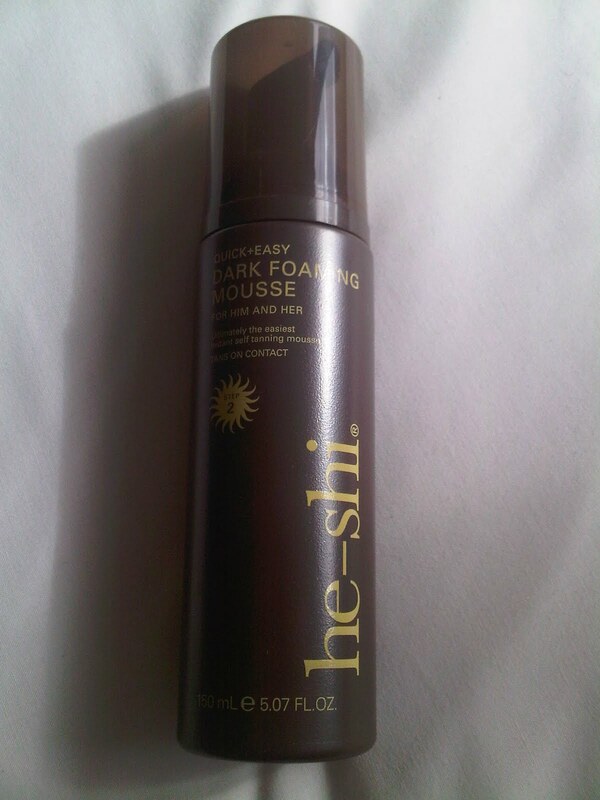 He-Shi dark foaming mousse retails for £27 for 150ml and can be bought here. 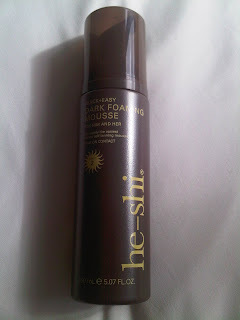 Have you used He-Shi tan or done any reviews on it?? Link me up below and I'll check it out.